Forged-alloy clamps and extruded-alloy extension construction. Carbon-friendly clamps fit 31.8mm diameter base bars and 26.0mm with included shims. Taller Speed Concept Ergo extensions focus on comfort. 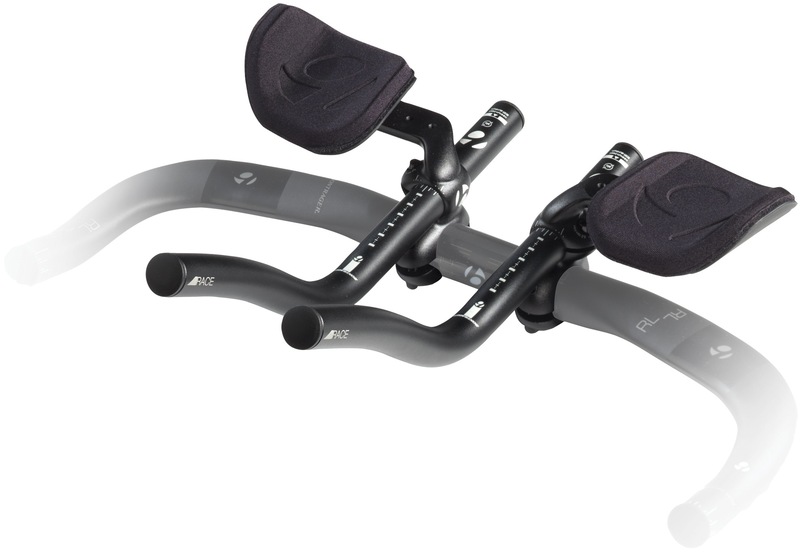 The 65mm arm pad height leaves room for normal hand placement when used on road bars. Laser-etched extension markings for quick and easy set-up.